BMWs have long been known for their distinctive driving feel, and now a new version of the i3 electric car aims to deliver more of that performance DNA. Called the i3s, this electric vehicle is tuned to make extra power and respond more aggressively to driver input, especially when you put it in “sport” mode. That tightens the steering and changes the throttle mapping to make it feel more engaging. 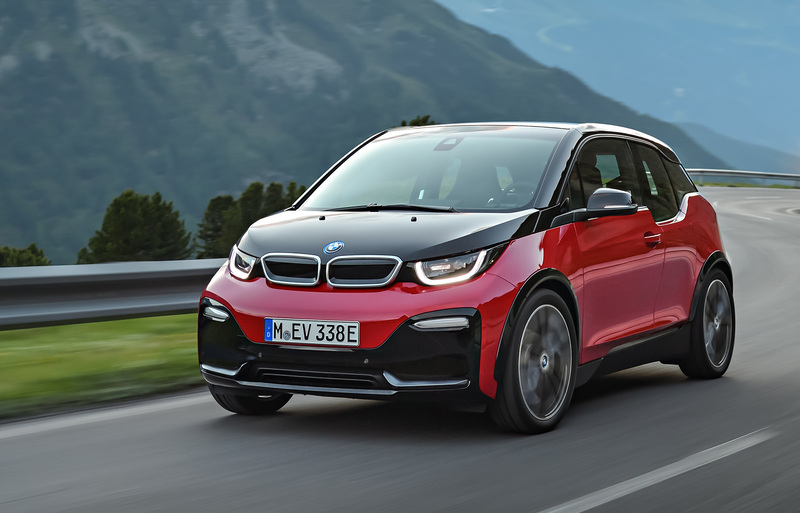 Its electric motor makes 184 horsepower and 199 pound-feet of torque, giving it a performance improvement of around 40 percent at the extreme limits of its RPM range, BMW claims, compared to the regular i3. It also comes with unique styling, a wider track, and a suspension designed for sportier driving. It comes with revised springs, dampers and anti-roll bars along with a 10-millimeter lower ride height. The i3s can reach 60 mph in an estimated 6.8 seconds and hits a top speed of 100 mph — both numbers more similar to gasoline cars than many zero-emission electric vehicles. The BMW i3 electric car has a striking, unusual look that emphasizes its futuristic, sustainable design goals. When fully charged, the i3 has a range up to 114 miles, or up to 180 miles if you opt for the range extender: a two-cylinder gasoline engine that adds $3,850 to the price. Considering a basic i3 starts at $44,450, it’s priced for premium buyers who could afford a very nice gasoline-powered car for the same money, even after you apply government tax credits that drive the cost down. That begs a question: Why buy an electric car in the first place? I think the answer, especially as a luxury purchase, is for the statement it sends. The i3 is dramatically different from the vast majority of vehicles sold today, starting with the way it drives. It accelerates smoothly and silently to highway speed, offering an instant burst of torque any time you need it. The feeling is almost surreal — ample power with hardly a hint of noise. More than that, though, is the way it’s designed. The i3 uses carbon fiber reinforced plastic, a material claimed to be lighter and stronger than steel, to create its body panels and some interior pieces. It’s also built in a more sustainable way than most cars, BMW says, thanks to its materials and eco-conscious factory in Leipzig, Germany, that runs entirely on renewable energy. The i3 feels light, and not just in terms of weight. Its cabin seems open and spacious for a compact vehicle. It doesn’t need a transmission tunnel under the floorboard, for example, and there is no “B” pillar like in most traditional cars where the rear doors attach. In the i3, the rear doors swing backward, and the entire structure can be open to the air like a Roman arch. 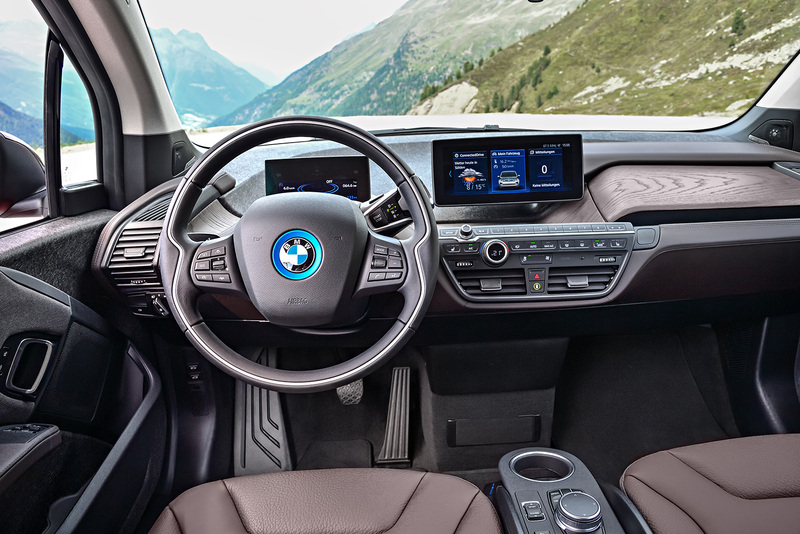 Open-pore, sustainably grown eucalyptus wood and innovative materials give the i3’s interior a look that’s as distinctive as its body. Finally, the look is distinctive inside and out. I wouldn’t call it pretty, but I would call it contemporary and striking. It certainly turns heads with its unusual shape and functional styling, and the cabin is one of the most innovative I’ve seen in years. Sustainably grown, open-pore eucalyptus wood and innovative materials made from natural fibers give the interior an earthy and forward-thinking vibe. As a whole, I see the i3 as more about making a statement of values than about providing transportation. It does a fine job of getting you around town on short trips — including a premium driving experience and some of the best connectivity of any vehicle for sale today — but if “point A to point B” is your mission, a basic Chevy economy car could do the job just as well. Instead, the i3 is aimed at buyers who could and perhaps do own fine, roomy, powerful luxury cars. They choose to buy something that does right by Mother Earth for everyday trips instead. It makes a statement about sustainable transportation, both looking and feeling like something from an oil-free future. A new sport model adds to its appeal and better fits BMW’s traditional fun-to-drive mission.